Now the birth of Jesus Christ was as follows: when His mother Mary had been betrothed to Joseph, before they came together she was found to be with child by [the power of] the Holy Spirit. And Joseph her [promised] husband, being a just and righteous man and not wanting to expose her publicly to shame, planned to send her away and divorce her quietly. But after he had considered this, an angel of the Lord appeared to him in a dream, saying, “Joseph, descendant of David, do not be afraid to take Mary as your wife, for the Child who has been conceived in her is of the Holy Spirit. She will give birth to a Son, and you shall name Him Jesus (The Lord is salvation), for He will save His people from their sins.” All this happened in order to fulfill what the Lord had spoken through the prophet [Isaiah]: “Behold, the virgin shall be with child and give birth to a Son, and they shall call His name Immanuel”—which, when translated, means, “God with us.” Then Joseph awoke from his sleep and did as the angel of the Lord had commanded him, and he took Mary [to his home] as his wife, but he kept her a virgin until she had given birth to a Son [her firstborn child]; and he named Him Jesus (The Lord is salvation). The Sundays leading up to Christmas are, for me, some of the most spiritual of all. As we ponder the Advent season, see the candles lit, and sing the songs of His birth, it is a powerful reminder of the culmination of a promise made by God to His people hundreds of years before. Isaiah 7:14 spells it the promise that God was willing to step down from Heaven and live among us, desiring to bring us back into His presence. Romans 5:8 is the very nature of His love in that “while we were still sinners” He came and then died so that we might see eternity with Him. At church today my pastor pointed out something that I had never thought about before. Oh sure we have heard it mentioned over and over and over again through the years but never had I really unwrapped the depth of these seven verses. Christ came down from Heaven to a story of hurt and pain and deep personal anguish. To be betrothed to each other in those days was the same as being married to them. It was a covenant made before man and God that you would give your lives to each other. Consider Joseph and his thoughts as he found himself facing what he thought was an unfaithful fiancée. Not only that thought but the only real possibility, before the coming of the angel to him in a dream, was that one of his friends was likely the father of the child Mary carried. What else would he have thought? A baby being conceived in the Holy Spirit was not even in his realm of rational ideas for it was highly unlikely that Joseph, even in his deep spiritual training, thought that the prophecy of Isaiah would be coming forth in his family. So Joseph, in the days leading up to his vision, had been facing some incredibly painful decisions. His life and everything he had planned for was in chaos. The hurt he felt must have been soul wrenching because one can be sure that he loved Mary very much and to feel this supposed betrayal was probably a heart breaking, slobbery cry for understanding to the God he had so faithfully worshiped. Why would God send this embarrassment, this hurt, this humiliation to him? Why would God allow this pain to happen to him? What had he done to deserve this? And yet, in his faithfulness, he heard God’s voice and obeyed, even in the midst of his sorrow and pain, even in the midst of what had to be a very public situation. 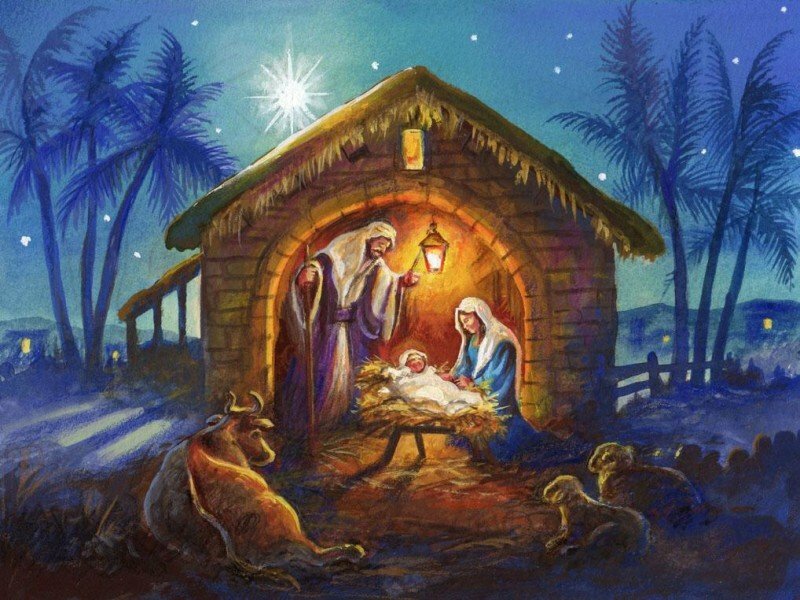 He took Mary home to be his wife and after the baby was born, “he named him Jesus”. He followed God’s command. He trusted in God’s faithfulness. He loved God more than he loved the opinions of man. This Christmas season, as we each go through our own trials, our own sufferings, possibly our own public or private humiliation, let us remember that God does have a plan for us. He will see it through, walking beside us, giving us strength, moving us to a place of peace, even if that peace doesn’t seem to come right when we want it. Take Philippians 1:6 to heart today. “And I am sure of this, that he who began a good work in you will bring it to completion at the day of Jesus Christ.” He came because He loved us. He came to bring us back into His presence. He left His Holy Spirit with us to lead us home. ©2015BreathofLifeWomen, if any part is copied for use please link back to our webpage.